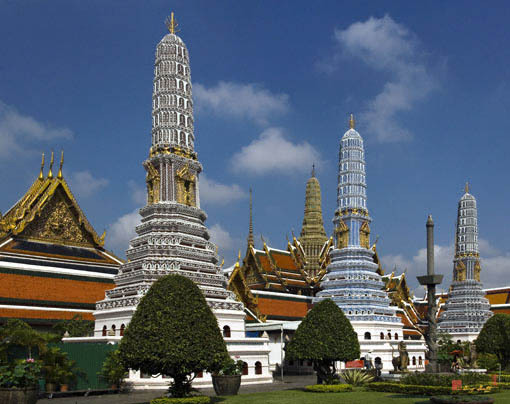 There are Eight Prangs (Towers) or Chedi on the East side of the Grand Palace Complex. 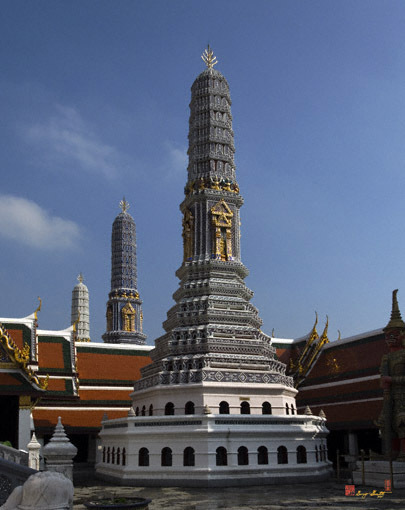 The Eight Prangs are of different colors and each is dedicated to a certain Buddhist concept. 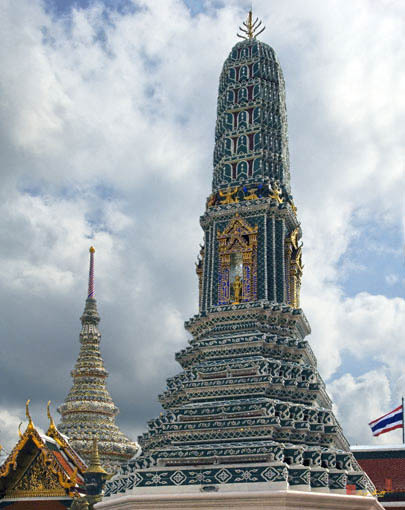 The form of a Thai Prang or Chedi (tower) derives from the Khmer prasat, but whereas a prasat is "a residence of a king or a god," a prang has the same function as a Chedi. 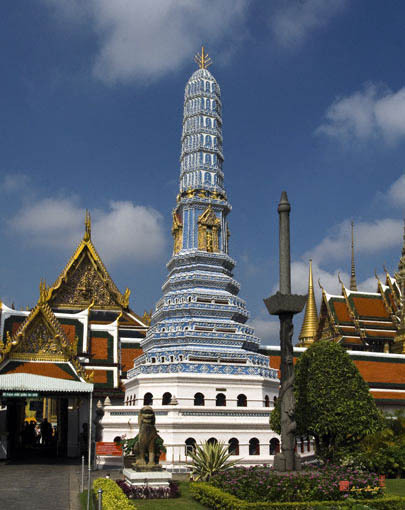 A Chedi is a kind of Pagoda which has a specific symbolism. The base represents hell, the middle humanity and the top the state of nirvana. 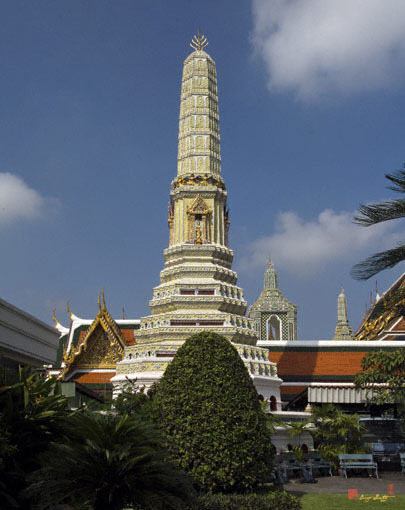 When faithful people are performing "vien tien" ceremonies ( walking around the Chedi three times ) they are expressing a wish to be whisked from hell to nirvana by a whirlpool. 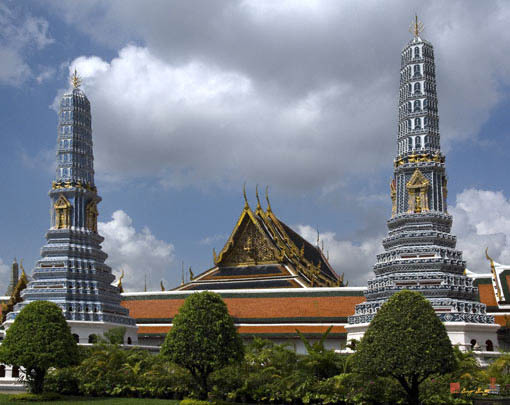 The Chedi always have the form of a lotus which very is important in Buddhism. 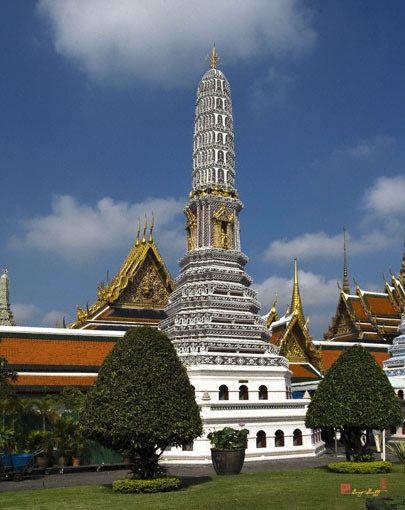 It symbolizes enlightenment because the lotus blossoms in a dirty pool. It symbolizes the passage from darkness to light, the passage from ignorance to wisdom. 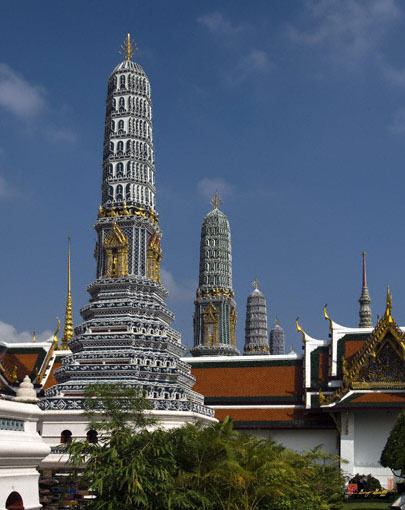 In famous Royal monasteries it is used to store relics of the Lord Buddha. 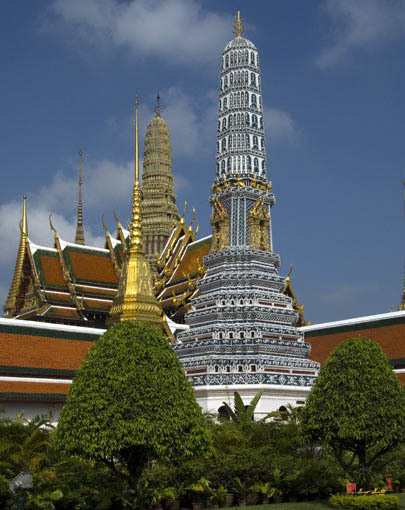 In ordinary temples it is used to store the relics of monks or of royal personages.